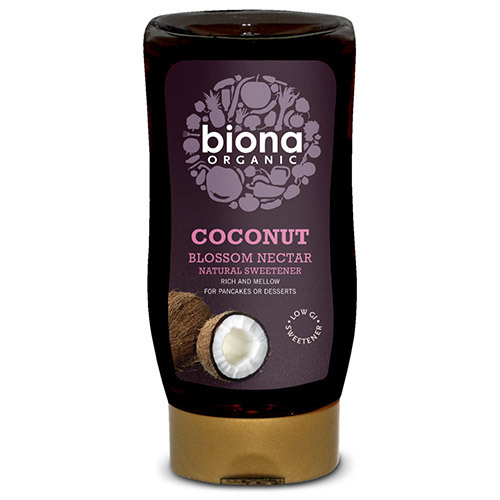 This natural sweetener has a rich, mellow taste and is made from the sap of coconut blossoms. Perfect with pancakes or in desserts. Use in desserts, as a spread, in cooking and baking, or as a topping on pancakes. 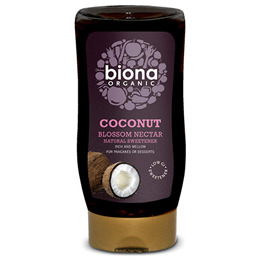 Below are reviews of Biona Organic Coconut Blossom Nectar - 350g by bodykind customers. If you have tried this product we'd love to hear what you think so please leave a review.